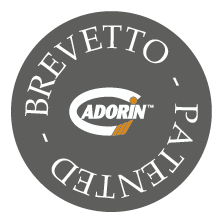 This is the most precious range of wood flooring produced and patented by Cadorin Group. Very big planks in carefully selected wood species and expert treatment of the surfaces ensure an excellent base for the application of the GOLD, SILVER or COPPER LEAF. These PRECIOUS METALS in LEAF or DUST form are in perfect symbiosis with the grain of the wood, bestowing exquisite magical effects on the wide engineered wood flooring planks. “GOLD Planks” is the range for those wishing to live in a truly special habitat, in a personal and unprecedented atmosphere, thanks to the precious finishes, the warmth of the gold, silver or copper, and the plays of reflected light. The GOLD Planks can be supplied with a finish of Genuine Gold leaf 12-24 Kt, accompanied by a certificate of origin for the gold, or a finish of Gold dust.